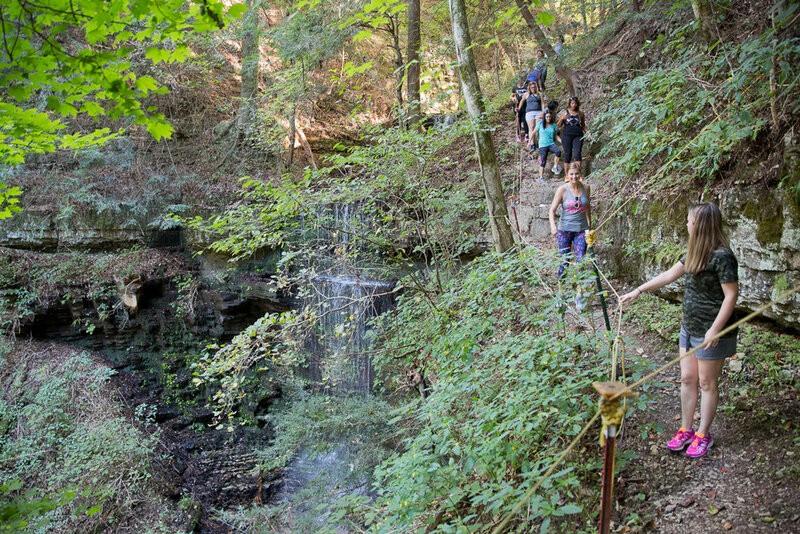 Welcome to the recap of this past September's ninth gathering of Inspired Retreat! Missed our previous post? 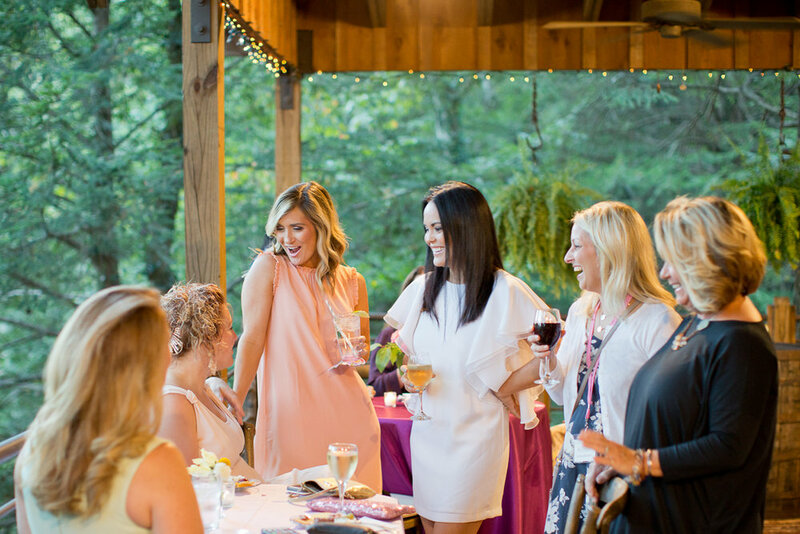 You can find it here.When attendees arrived at Evins Mill, they were greeted by beautiful surroundings (the trees and the cute little rocking chairs!) but also with a warm hug and a sweet treat bag. This year's gift bag was lettered by Speaker Cathy Olson and gifted by Heather Crabtree, and it was full of intentional goodies from our speakers and sponsors. After we made introductions and learned how to get the most out of the Inspired Retreat experience, attendees got ready for our Southern welcome party. The theme of the night was, of course, a southern barbecue with cute red-and-white gingham paired with fresh fall florals and peaches, perfect for the atmosphere. Each of the attendees had a place card on an individual Coke glass bottle and everyone enjoyed getting to know each other at this welcome dinner. The featured cocktail this night was a Bourbon Peach Iced Tea (recipe forthcoming!). We were up bright and early the next morning and, after a delicious southern breakfast with all the fixins, we met in the main lobby to kick off our time together. All of the guests were greeted with warm gifts at their table. 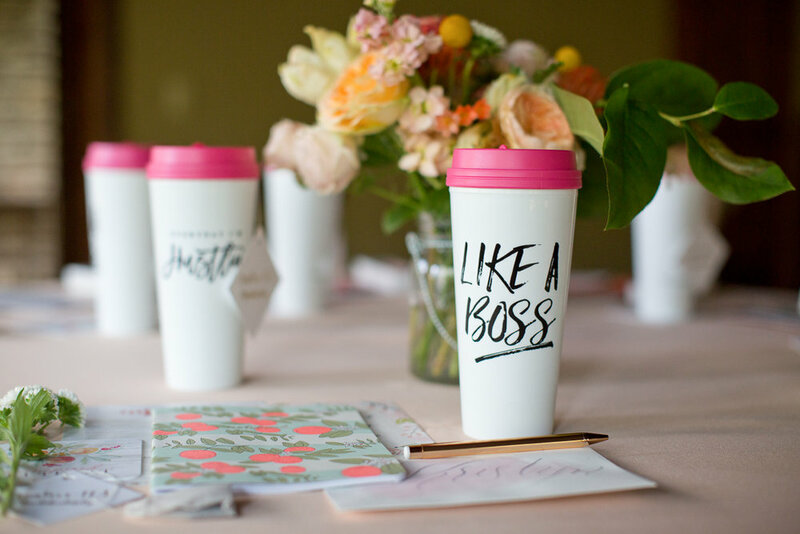 These coffee mugs from Sweet Water Decor and Jessica were a big hit with attendees. The first day was full of strategic business contents and, in the afternoon, we all gathered for a really fun creative session activity with Kim Stoegbauer of TomKat Studio. Grouped into teams, attendees had a short amount of time to style their dinner table with fun details and goodies from both the TomKat Studio shop and from our sponsor Hester and Cook. Everyone learned lots of styling tips and tricks for photographing for social media with their phones. The best part was that attendees got to eat dinner that night at the table they styled and created! Each day, there are main sessions held together in the lodge, with smaller breakout group sessions in the afternoon at various places around the opportunity. This keeps you moving and connecting as you think through all the strategic business content! In between the four-course meal experiences, attendees were treated to picnic and sweet breaks featuring heart shaped donuts! The farewell dinner is usually the most fun and beautiful night together. One of my favorite parts about Inspired is the opportunity to get dressed up in a pretty dress and sit down to an amazing four-course meal (that you obviously aren’t treated to every night when you’re at home!). We had a gorgeous floral setting, featuring lots of plum, lavender, and blush colors. I absolutely loved the hanging place cards, a design feature that I dreamed up one night and put into action with the help of some of our talented speakers and artists! Le Grand Courtage champagne is one of our long-time sponsors at Inspired Retreat. We are in love with their motto, “Embrace Life. Dream Big. 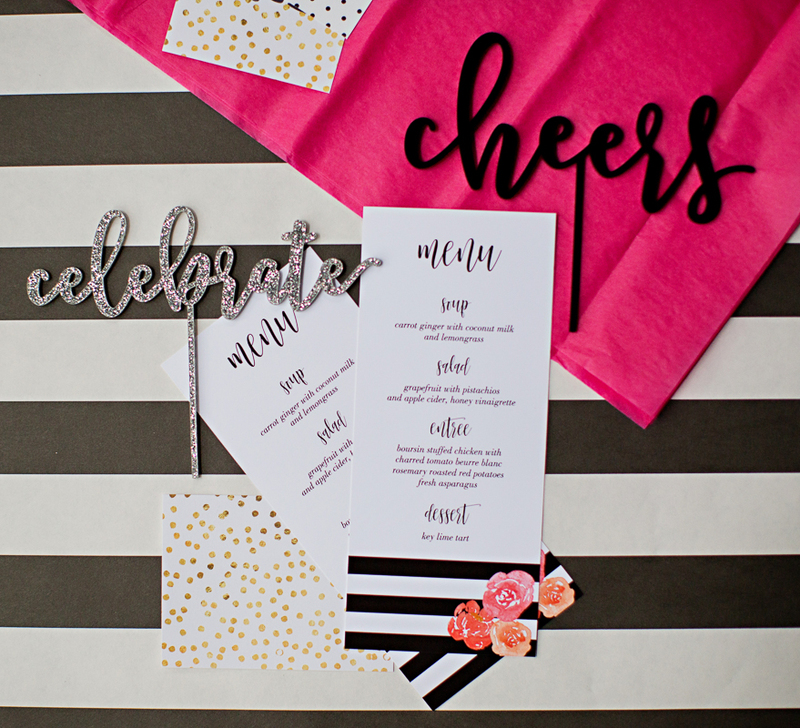 Accept all invitations.” At our farewell dinner, each attendee was gifted with a champagne bottle and instructed to celebrate something big or small that happens in their business and keep the bottle as a marker for their accomplishments. 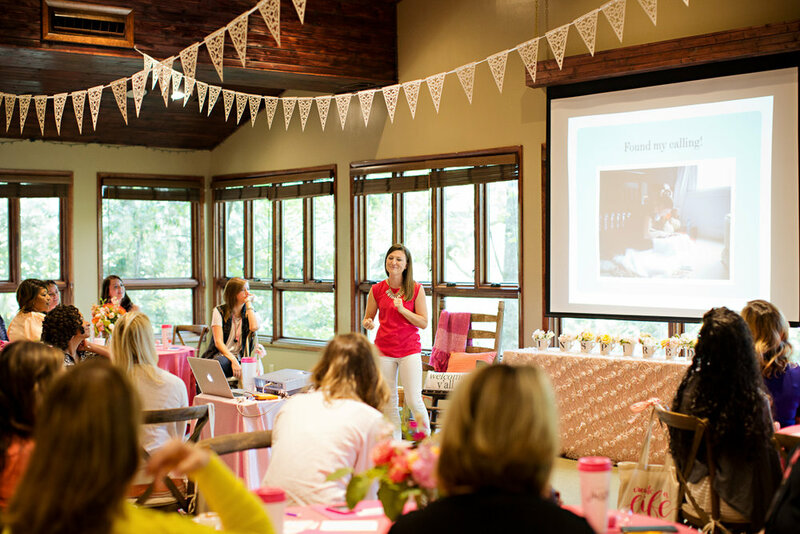 Each time I host Inspired Retreat, it’s hard to say goodbye to such a special experience. It's just so wonderful to see the light and the joy that these women have during our time together. It's like watching all these little lights go out in the world to spread a little of my goodness through their businesses and the people they serve and the families that they have at home. For me, the opportunity and privilege to do this work is an honor. Can't get enough? Me either! Here's a few more recaps from attendees. Save the date for the spring Inspired Retreat! I hope I'll have the opportunity to see you next September 10 – 13th for our tenth experience of Inspired Retreat! Registration opens in February 2017. For anyone interested in submitting to speak, you can find all the details here.